Mmm mmm! Weren’t those pumpkin cinnamon rolls delish? If you are like me, you ate plenty, but still had a hard time getting through all of them before they went stale. Lucky for you, I have a solution! 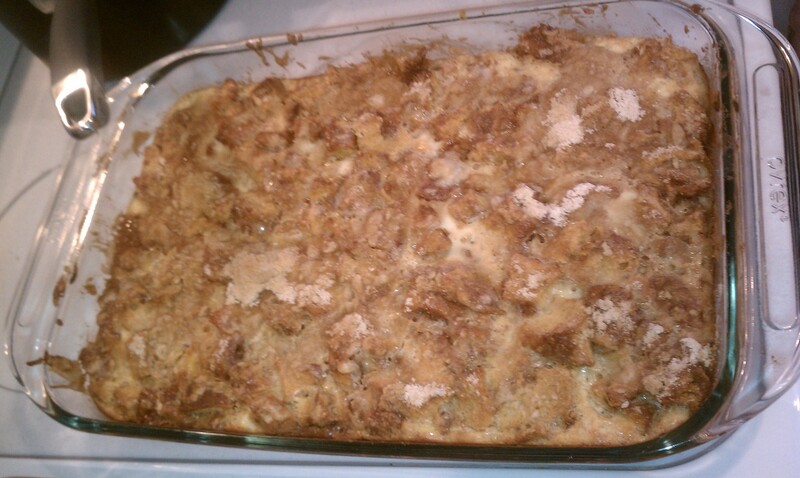 Pumpkin Cinnamon Roll Bread Pudding. Gasp, yes I am serious. The best part is you’ve already done the hard part and it takes very few ingredients to pull this recipe off. Preheat your oven to 350 degrees. Spray a 9 x 13 baking dish with cooking spray and add chopped up leftover rolls. 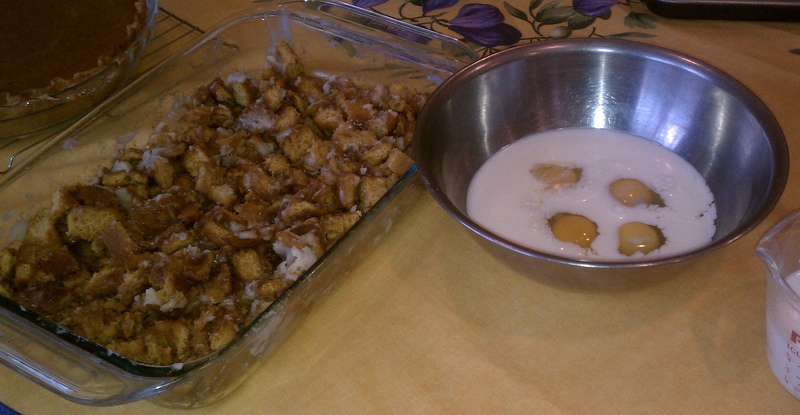 In a separate bowl, mix the half and half, eggs, cinnamon, salt and vanilla extract with a whisk. Pour the liquid over your chopped up rolls and let soak for 20 mins. You’ll know it’s ready when some of the liquid is absorbed back into the rolls. Bake for 45 mins. Sprinkle brown sugar over bread putting and bake for an additional 5-10 mins. Voila! Your custard should be set. If not, just add a few more mins. This is a great way to use up leftovers and create a wonderful dessert. It’s so good you’ll forget you are eating leftovers ;).